Custom Solutions for Custom Needs - Schafer Brothers Remodeling Inc.
Every project is unique and that’s where Schafer Brothers Remodeling really shines. 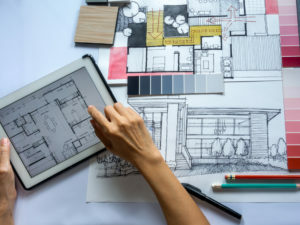 Our unique design-build system offers a complete, comprehensive approach to getting your project done right, from the initial design and construction phase to the final walk through and warranty coverage. We will work with you to understand what you need to accomplish with your reconstruction project and design a build plan that addresses those needs in the most effective and efficient way possible. Schafer Brothers Remodeling has extensive experience designing and building spaces specific to the needs of the customer. They will assess your building’s current status and develop a plan that addresses the areas of concern, working within your budget and focusing on your priorities.